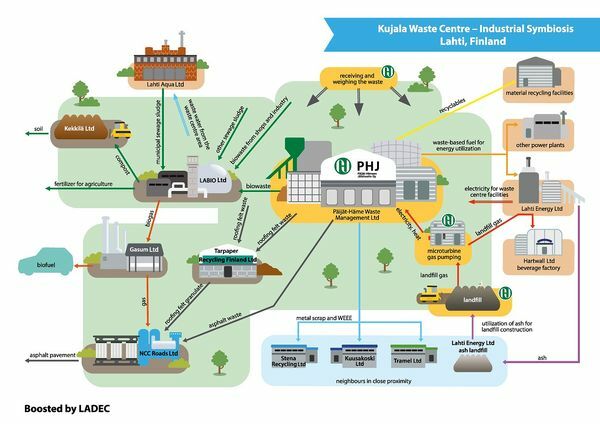 Lahti has been pioneering waste treatment processes, with Kujala Waste Treatment Centre, where all sorts of waste are reutilised, being a key example in this field. Several companies working in recycling and material recovery can benefit from each others’ expertise in Kujala area. One’s residues are another’s raw materials. Collected mixed wastes and bioresidues are processed into biogas, fuel, compost, fertilisers and landfill. Energy waste, hazardous waste, and WEE, become heat and energy. The waste recovery rate is very high in Lahti Region - waste rate of the recovery from municipal solid waste in 2016 was 96%. The total recovery rate was 92%. Read more about waste recovery. Päijät-Häme Waste Management Ltd (PHJ) is the main operator in Kujala and has multiple treatment plants around the treatment centre. The company provides waste management for 12 nearby municipalities and offers seven waste reception stations for local residents. 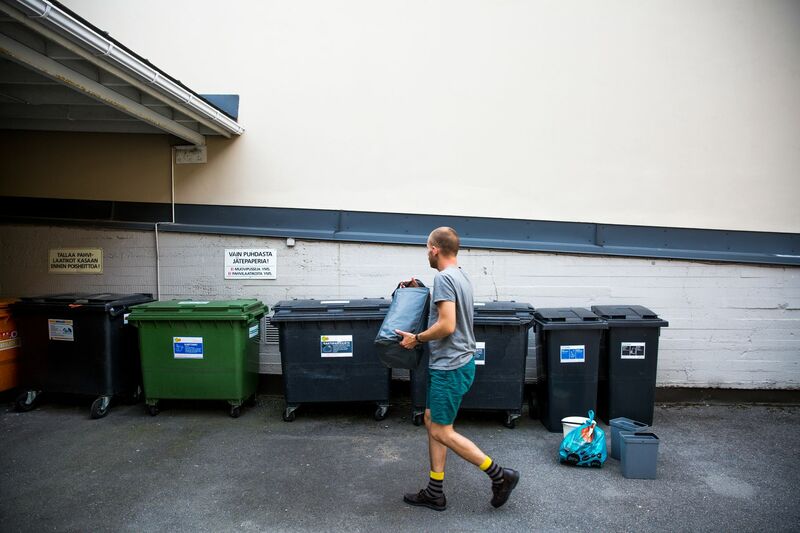 Blocks of flats and terraced houses with at least 10 flats energy waste bin require household waste bins for: biowaste, mixed waste, paper, carton, glass and metal bin. Kujala has achieved a recycling rate of 50%. This became possible with PHJ’s new mechanical sorting plant, LATE, which opened in 2016. The plant handles around 66,000 tonnes of mixed, energy and construction waste per year and separates out valuable materials for new use instead of use as energy. 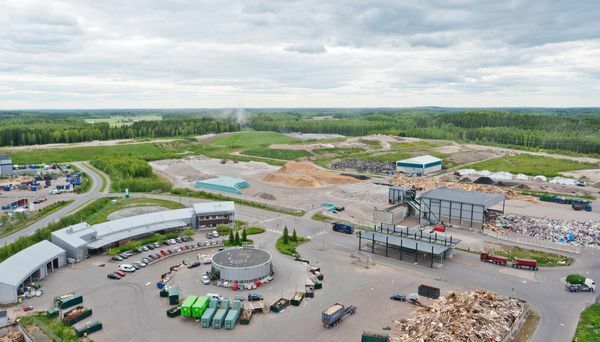 This facility, along with Fortum’s Plastic Refinery in Riihimäki, are Finland’s first sorting plants capable of recovering not only metals but also plastics and fibres from a wide range of waste materials. In all, the mechanical sorting plant LATE utilises more than half a kilometre of conveyors, which were supplied by the Orimattila-based Ferroplan Oy. The plant was delivered to PHJ by Vimelco Oy. MURRE, also one of PHJ’s plants, is a wood and energy treatment plant to turn sorted energy waste into high quality Solid Recovered Fuel (SRF) by shredding, screening and separating out metals. The fuel is then sold on for further use. LABIO Oy is pioneering combined composting and gas production at Finland’s first digestion and composting plant. LABIO’s and Kekkilä Oy’s soil processing plants in Kujala turn the compost produced into raw soil materials and fertilisers. This allows the nutrients stored in biowaste and sludge to be put back into circulation. Only a fraction of all waste is disposed of at a landfill site. The landfill site produces methane, which is collected and piped to a local brewery and the soft drinks company Hartwall Oy. Hartwall’s soft drinks plant’s heating station uses the landfill gas as process steam. Kujala’s micro-turbines transform the rest of the landfill gas into electricity and heat.